Rabbi Mordechai Willig, Mara D’Atra Young Israel of Riverdale, Rosh Yeshiva at RIETS, S’gan Av Beth Din of Beth Din of America, and member of the Young Israel Vaad Halacha, conducts a biweekly conference call with our rabbanim to answer shailos they are encountering in the field. Rabbanim ask practical halacha and hashkafa questions from all four chelkei Shulchan Aruch and beyond. In general, the calls take place every other Wednesday from 3:00-4:00 p.m. Eastern Time. Rabbis who would like to participate and/or submit a shaila should email Rabbi Binymain Hammer via email by Monday the week of the call. 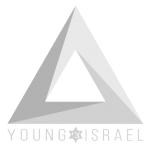 The day before the call, the topics to be addressed are e-mailed to all Young Israel Rabbis and others who have asked to participate. Rabbi Willig prepares answers assiduously. You don’t have to ask questions to participate. An archive of all of Rabbi Willig’s previous conference calls can be accessed and listened to here.